Alzheimer's disease is poorly understood but new techniques using NMR could help us clarify how the condition develops and, ultimately, lead to ways to treat it. 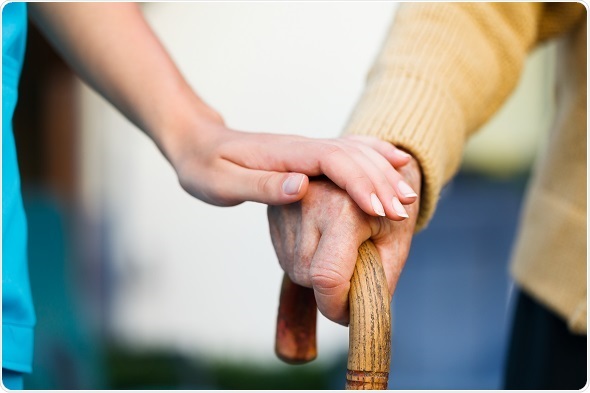 Alzheimer's disease (AD) is a fatal neurodegenerative condition, and the most common cause of dementia, affecting approximately 5 million people in the United States alone. It typically occurs in people over the age of 65, usually beginning with short-term memory loss, and progressive worsening of the disease leads to confusion, personality changes, and problems with speech, language, and movement. With recent increases in life expectancy in the developed world, the prevalence of AD is expected to almost triple by 2050 in the absence of therapies to prevent or cure it. The exact cause of AD is still unclear, but research suggests that the aggregation of a protein called amyloid-β in the brain plays a role at some stage. Amyloids come from the polymerization of initially harmless protein monomers leading to the formation of elongated fibers known as amyloid fibrils. Research has so far made advances in characterizing these monomers and fibrils. 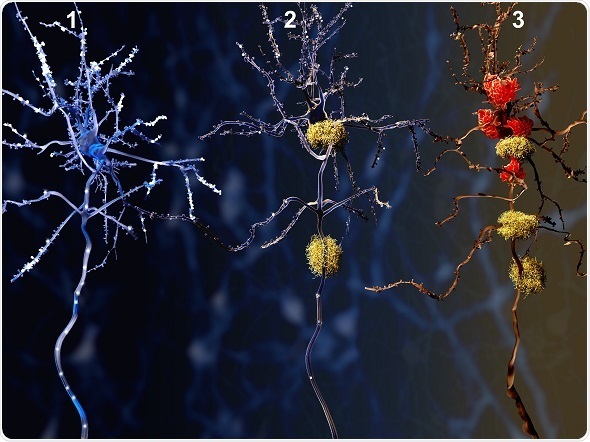 However, it is the intermediate oligomeric forms of amyloid – which can take a range of unique structures – that are thought to play the greatest role in the disease and which have been the hardest to understand. The inability to characterize the structure of amyloid oligomers is a major impediment to developing pharmaceutical therapies that could target them. These proteins tend to be transient in nature and are highly heterogeneous. With existing techniques, such as solid-state NMR, electron microscopy, and crystallography, it has been difficult to obtain sensitive, high-resolution data on their structure. A recent study by Kotler et al. showed how using particular NMR methods could overcome some of these limitations and help deliver insights into oligomer structure. The researchers used a solid-state NMR technique called magic angle spinning (MAS) to analyze incubated amyloid-β. They explain that MAS allowed them to bridge the gap between solution NMR – which has molecular weight limitations – and solid-state NMR – which has sensitivity issues – by applying a solid-state technique to a liquid sample with “solid” characteristics. They also used a method in their experiments called 1H/1H radio frequency driven dipolar recoupling (RFDR), which enabled them to specifically and preferentially detect oligomeric species against a background of monomers and fibrillar amyloid-β. Using these methods, the researchers were able to resolve the 2D spectra of the oligomers, despite the fact that they made up only 7% of the total population, compared with 93% composed of monomers and fibrils. They were able to study a stable monomer that existed simultaneously alongside the highly ordered fibrils making up the majority of the overall sample. The researchers say that this finding was a surprise as it suggests the existence of an aggregation pathway that does not end in a fibrillar structure. They were also able to examine this monomer at an atomic level, revealing that it did not have small molecule perturbations or chemical modifications to its peptide sequence. The team say that their findings demonstrate the value of RFDR-based 2D 1H/1H experiments to enable high-resolution data to be gathered on oligomeric structure in a way that is unachievable with other available methods. They also note that it provides many practical advantages. By using a spectral filter, they were able to detect specific oligomer signals without the need for a separate purification procedure and there was no need to freeze or radioactively label their sample, as with other NMR approaches. For their MAS experiments, Kotler et al. 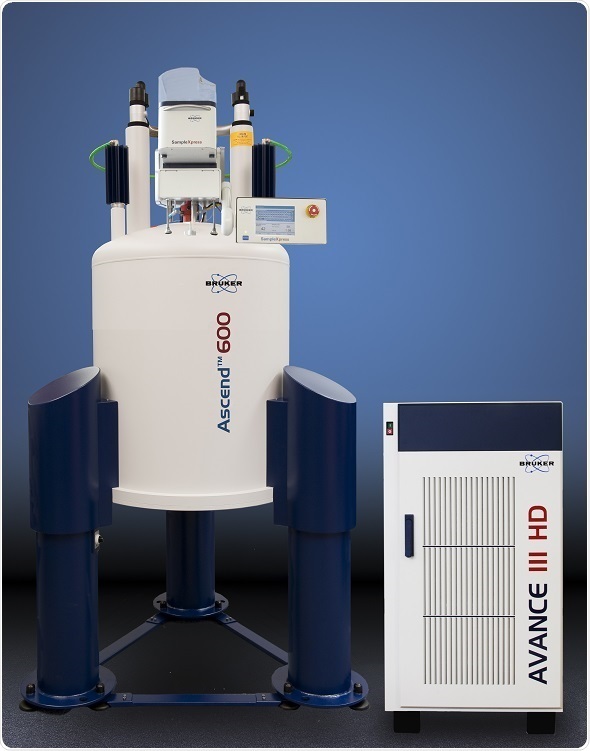 used a Bruker 600MHz Avance III spectrometer coupled with a comprehensive multiphase probe. They explain that this allowed them to reach higher MAS rates while maintaining the utility of deuterium locking and pulse-field gradients. For their solution experiments, the team used a cryogenic triple-resonance pulse-field gradient probe with a Bruker 900MHz NMR spectrometer. Bruker offers two lines of cryogenic probe technologies: CryoProbe, which is based on a closed cycle helium cryocooler and CryoProbe Prodigy which is an open cycle liquid nitrogen cooling system. Both use a range of automated features including cool-down, warm-up and timer, and are compatible with Bruker’s automatic sample changer. Bruker BioSpinoffers the world's most comprehensive range of NMR and EPR spectroscopy and preclinical MRI research tools. The Bruker BioSpin Group of companies develop, manufacture and supply technology to research establishments, commercial enterprises and multi-national corporations across countless industries and fields of expertise.